USC heads into the final game of 2017 with confidence, owing to their Pac-12 title win and a skilled quarterback in the lineup. A lot of attention has surrounded Sam Darnold due to the pending draft where he is considered a top pick. The No. 8 Trojans will be taking on No. 5 Ohio State with the same up-tempo style that they have approached each game with this season. 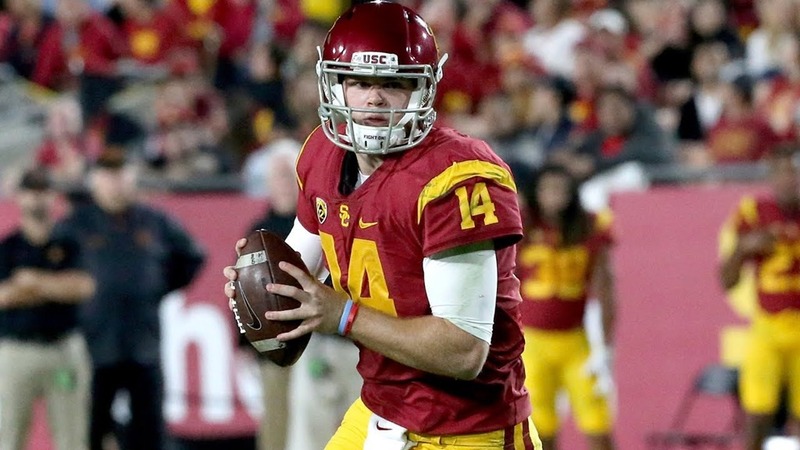 With Darnold providing the speed to keep up this style of offense, USC managed an average of 489.5 yards a game in the Pac-12, the second most productive one. Tee Martin, the offensive coordinator for USC, was quoted saying that they adopted the up-tempo style for the whole season and not just for a particular team. He said that the point of this offense was to stay dominant against their opponents regardless of the rotation rate. He is hoping that the same style will be effective when facing the Buckeyes tonight in the Cotton Bowl. Ohio State will have to work hard to slow down the Trojans, especially with Darnold leading the rushing attack. The Buckeyes have gone through about eight defensive linemen, including defense ends Sam Hubbard, Jalyn Holmes, Tyquan Lewis, and Nick Bosa, the Big Ten Defensive Lineman of the Year.